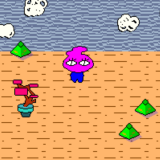 SPACE FACE VASE, a game made in one hour for the One Hour Game Jam. This time, the theme was Never Enough. The goal is to destroy as many vases as possible. Launch balls from your face and they just might hit one. The green bar on the left is how much time you have left, while the red bar on the right (kinda sorta) keeps track of how many vases remain. Try for a high score! You have very little control. But here are the "controls." Press ANY KEY to launch a ball. ...I mean, really mash your keyboard. Press the -R- KEY to restart the game. I personally think this one is pretty whacked-out. I wanted to create the feeling of being a kid again, the moment when you throw handfuls of your Matchbox cars together to create massive chaos and hear all those satisfying *clatter* sounds. Enjoy! You are bicycling home. It is late at night. You check the weather report. Chance of precipitation: 100%. This is no ordinary rain. Press the ENTER, SPACE, CTRL, or SHIFT key to begin the game while PLAY is highlighted on the title screen. ->Move your bicyclist with the ARROW KEYS. ->Shoot flaming arrows with SHIFT. Making an attack takes away a certain amount of energy. The bad news is if you run out of energy then you lose. The good news is your energy will slowly replenish as you ride. You can win the game by defeating the evil cloud or by bicycling all the way home. You can lose the game by running out of energy or if too many spiders make it past you. Event structure by let-off studios. Sprites mostly by Clickteam. Sounds by clickteam or made by let-off studios in BFXR. Background music by Play-On-Loop. I was inspired completely by the Random Creative Idea Generator to make and name this game. All resources linked on the game's "About" frame. If you would like to see the source MFA file, just let me know. EDIT: Disabled one of my debugging events that would cause the spider counter to go up unbidden. You shouldn't die so quickly from spiders now. In this game, you are a rabbi, and you must throw latkes at all the boys who were not circumcised when they were 8 days old. Gemstones will sometimes appear, and if you collect them you earn extra points! This is my first Glorious Trainwreck. Made with MMF2. Features the rabbi graphic along with some other clipart I found. EDIT: Minor bug-fixes and edits. 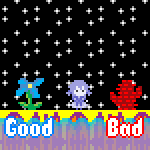 Made the game more challenging: children are faster and spawn more frequently as the game continues. 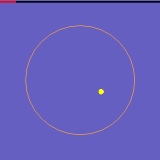 The player now loses a candle if a child leaves the bottom of the screen. 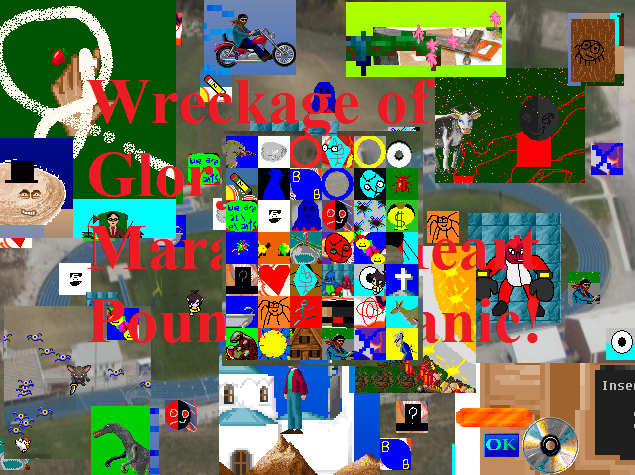 This game is heavily based on an old freeware Mac game called Gravity Ball, by Aaron Davidson. Most of the visual and sound design is cribbed from that game, although the individual assets were collected by me. The ball is repelled by the mouse. Keep it within the marked circle to beat the level!